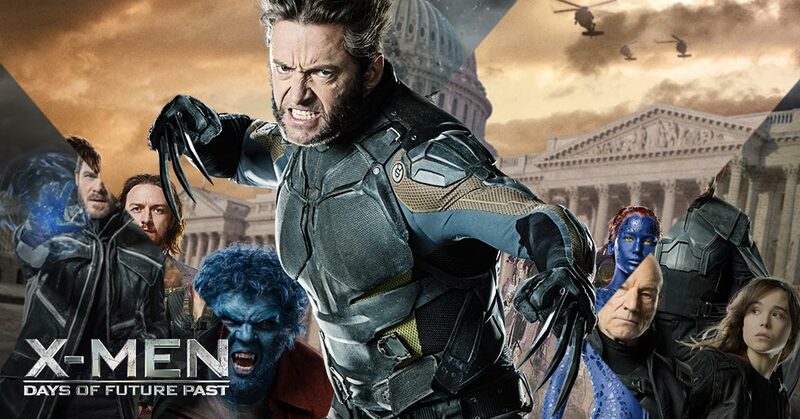 I recently went to the cinema to see the latest X-Men film, Days of Future Past. I’m a massive fan of the X-Men series, and to date none of the films have disappointed me. This newest instalment was no different. I loved it. A thoroughly entertaining and gripping addition to the franchise. However, it gave me a slightly different emotional experience to the other six films. Not in a bad way, I still enjoyed it, but the experience of watching it just felt a little… different. In all the other X-Men films there are important things at stake: things that range from the lives of characters we love, through to the lives of hundreds of thousands of people and/or mutants. Often the X-Men are simply trying to stop things from going down a dark path: trying to prevent an all-out war between mutants and humans. Yet in all the previous films we never get the sense that if the X-Men fail, the world and all of humanity is going to end. We know horrible things will happen and we desperately want them not to, but up to this point, there has never been a true apocalypse on the near horizon. Days of Future Past changes that. While it’s still not quite clear how the humans fit into the post-apocalyptic glimpse we are given, there’s a definite sense that this time, if the X-Men fail, the world as we know it really is going to end, along with all our favourite characters. It reminded me of the final scenes in The Matrix, as the machines near the last free human settlement, or in the Terminator films where the characters scramble to prevent a future dominated by machines. Even films like The Avengers, or Armageddon, or the hundreds of other disaster movies and zombie apocalypse stories. At the end, there is always a price to be paid for failure, and it is the ultimate price. Not the death of a few people, or even thousands of people, but the extinction of the entire human race. And it’s so effective because the more desperate and frightening you make the prospect of the characters losing, the more satisfying and relief-filled the triumph will be when they succeed. It’s the classic raising of the stakes, except that with the end of the world, you raise those stakes just about as high as they can go. Of course, we rarely see the actual ‘end’ or ‘extinction’ in these stories, we are merely threatened with the looming prospect of it. The heroes have to save the day, so the world can’t actually end. But in stories that involve time travel, such as Days of Future Past, we are often given a glimpse of it: we see the tragedy of the end of everything, and then a character has a chance to go back and stop it. I find even just that glimpse has the power to make me feel a measure of despair, fear, emptiness, and hopelessness. Even though I know the characters are going to save the day and that it’s all going to be okay. Even though I’ve seen it in so many other stories. There are even some films – for example the spate of anti-nuclear films in the 50s and 60s – that actually do give us the end of the world… and it’s a miserable thing to watch. I still remember the 2000 Australian TV movie On The Beach (based on a 1959 film and a 1957 novel of the same name), and the 1964 film Fail-Safe, even though I would’ve been in my early teens when I saw them. These films seemed so cruel, because they gave me the same glimmer of hope that most disaster films offer–the chance for survival and the aversion of nuclear war–then dashed that hope brutally and completely. I’m not saying that the best films and books are those about the end of the world. Dystopian fiction and disaster movies are undoubtedly popular, and “Master of Disaster” Roland Emmerich seems to have built an entire career milking the end of the world for all it’s worth. But there are many other great stories that don’t get apocalyptic. However, there is something about the prospect of the demise of our species, the end of our planet, that when truly contemplated, creates a certain quality of despair that strikes something at our core… or at least mine, anyway. And I don’t think the avoidance of it is something I’ll ever tire of experiencing. It’s got the same timeless quality as seeing two characters falling in love, or the morbid fascination of stories about ghosts and the afterlife, or the appeal of the old-fashioned revenge tale. And even though it’s been used time and time again, in hundreds of books and movies, if it’s done right, there’s nothing quite so chilling, quite so epic, as the prospect of the end of the world. I was a kid in the 80s, so I remember a lot of books and plays where the end DOES happen. We honestly thought it was going to happen soon. For a few years, when (we thought) the Cold War ended, there was this tremendous sense of relief. Then we started to realize that plenty of nuclear weaponry is still out there, and might fall into hands even less predictable than the Soviet Union’s. So we are still walking the razor’s edge, relying on God’s mercy. Nowadays, it seems like apocalyptic fiction (leaving out zombies) is tending toward EMP >>> technology fails >>> apocalyptic social disorder. That is what the preppers are worried about. S.M. Stirling’s Dies the Fire is a fantasy book that explores this premise, but there are other EMP books that fall in the thriller genre instead of fantasy. Usually in these scenarios the survival rate is not zero but is close to it, which I realize diminishes the impact somewhat. So, yes, this stuff resonates because it is real stuff and we are really scared of it.